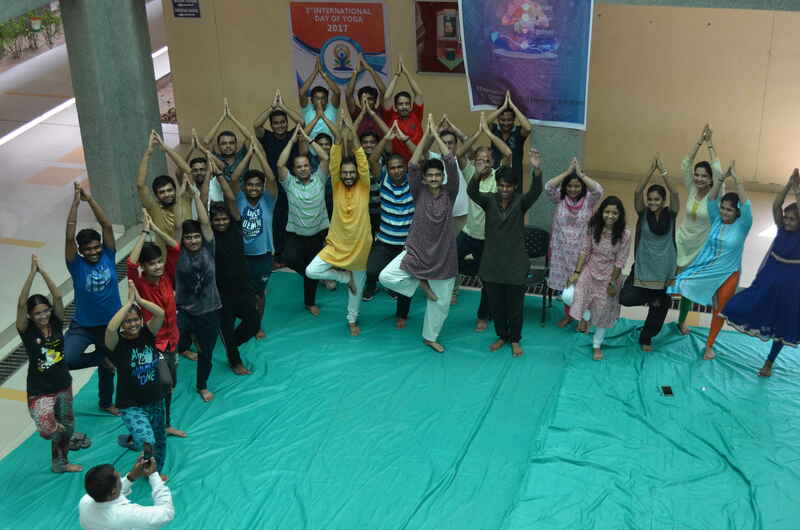 The International Day of Yoga - 2017 was celebrated on 21 June 2017 in the institute premises. 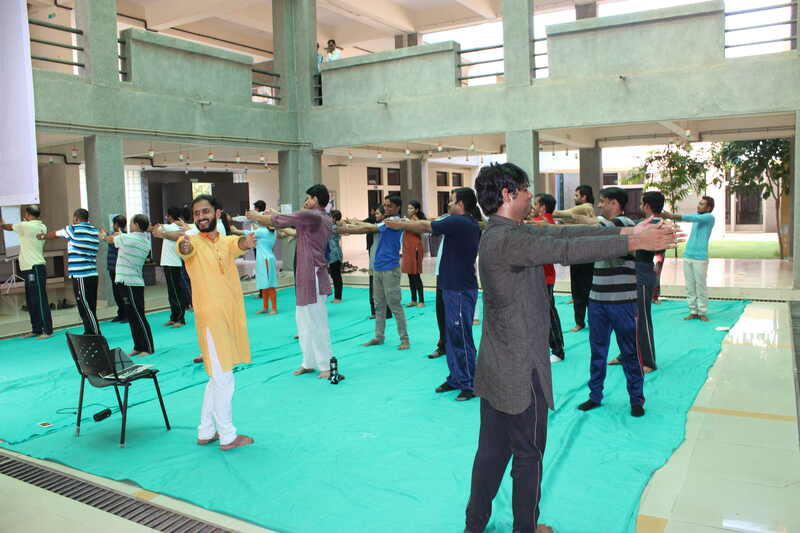 The IIIT Vadodara community including students, research scholars, staff, faculty participated in this event. The event started at 8:30 am in the morning. 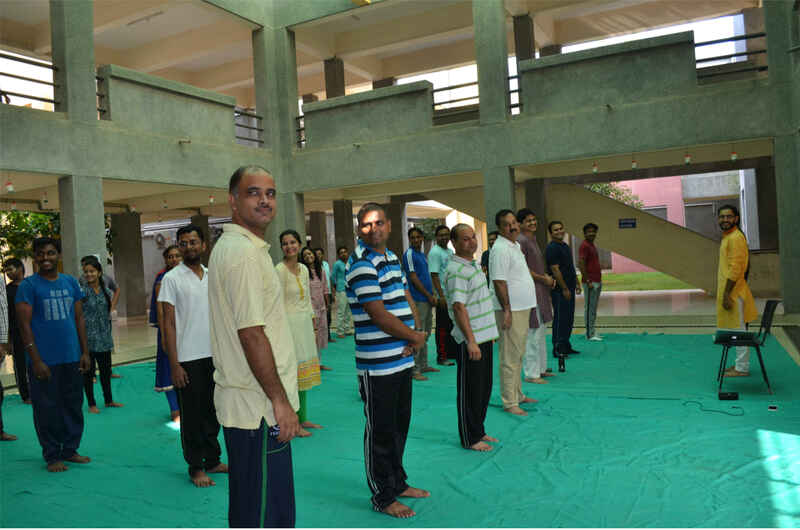 The Yoga session started at 8.30 am, under the supervision of Mr. Ishan Mistry, instructor (Sri Sri Ravi Shankar Foundation, Gandhinagar). 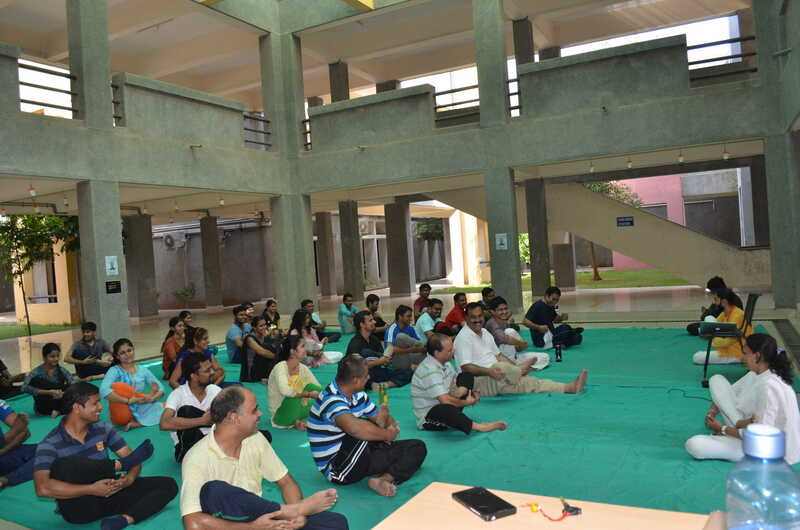 Before starting the session, the instructor gave a motivational talk on role of Yoga in daily life. He also briefed about benefits of Yoga for a strong and flexible body, peaceful mind and good health. 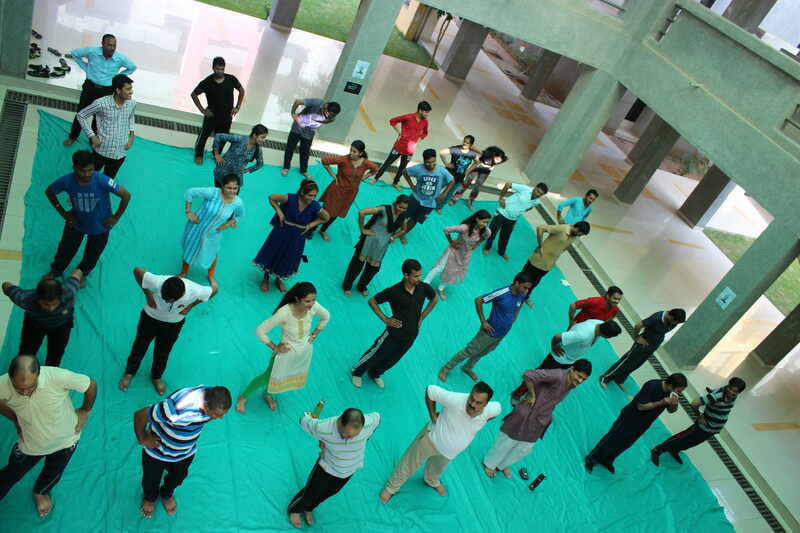 The event started with a warm up session including stretching and breathing exercises. 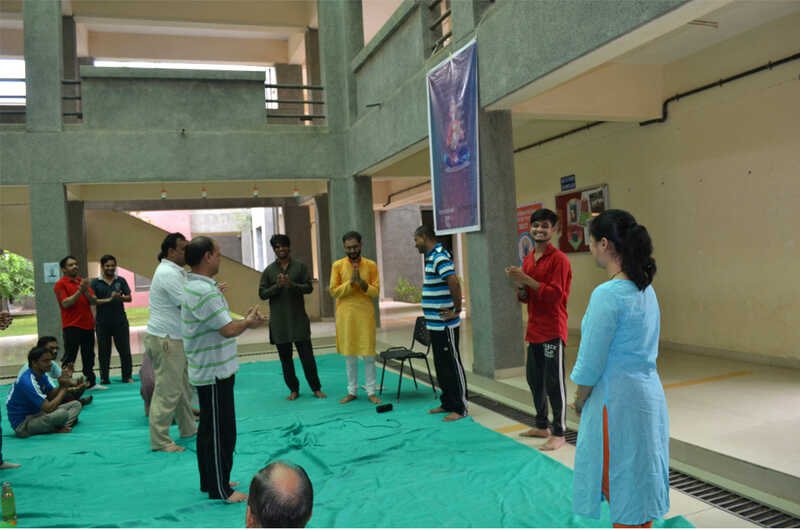 Subsequently various Pranayams such as Bhastrika, Shitali and Ujjayi; Asanas including Vajrasan, Surya Namaskar, and Super-brain exercises, were performed. 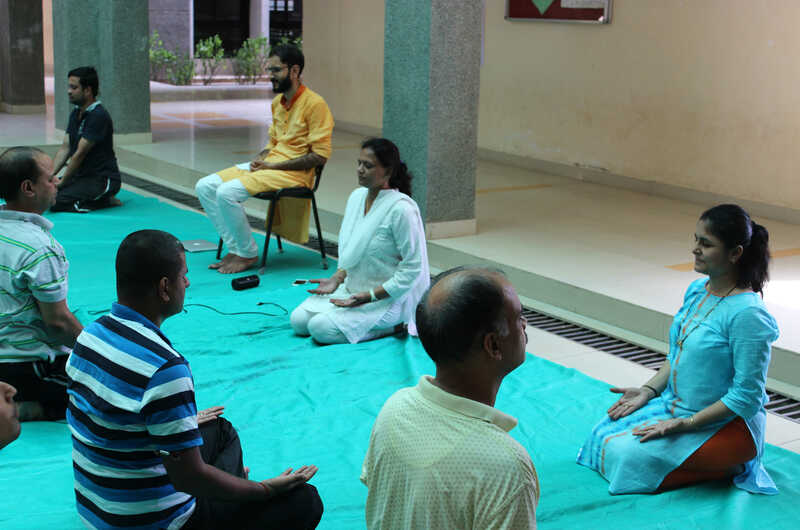 Finally, the Yoga session was concluded with fifteen minutes meditation. The event ended with a vote of thanks by Dr. Ajay Nath, the Convener of Sports and Cultural Committee of IIIT-V and the coordinator of the event. 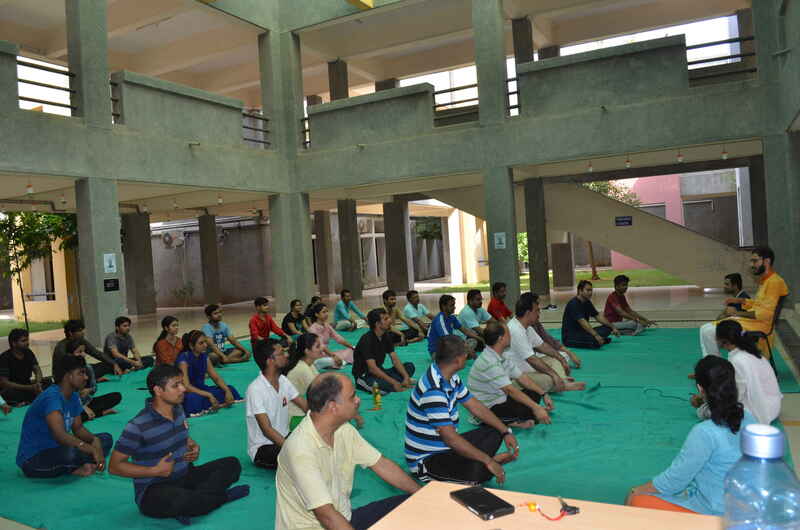 Dr. Nath emphasized on the importance and benefits of doing Yoga in our daily life. 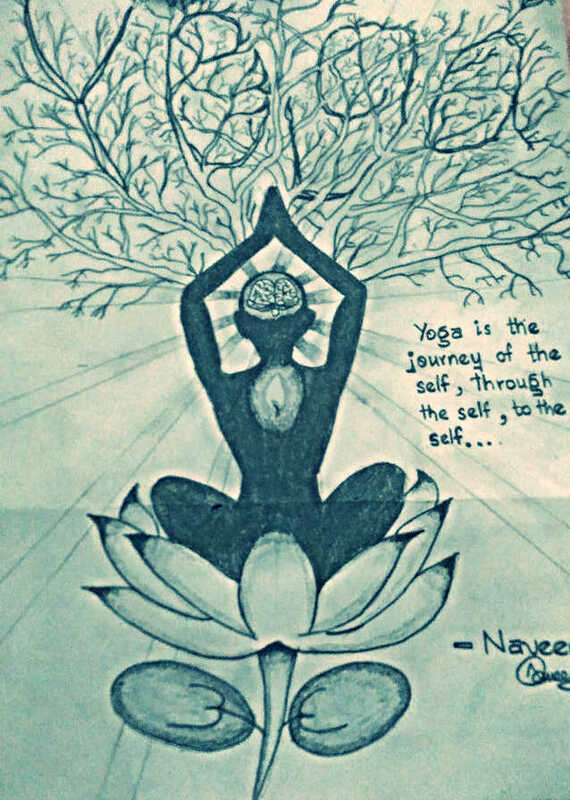 Yoga is an art which connects our soul, mind, and body together. It makes us strong, flexible, peaceful and healthy. Yoga gives us relief from countless ailments at the physical level. There are numerous benefits of yoga, such as, the practice of the postures (asanas) strengthens the body and creates a feeling of wellbeing. Yoga also sharpens the intellect and aid in concentration. It improves physical fitness, stress, controls general wellbeing, mental clarity and greater self-understanding. People of all ages can do yoga and it can also be adapted for people with disabilities or special needs. The asanas enhance muscle strength, coordination, flexibility and can help to control cholesterol level, reduces weight, normalizes blood pressure and improves cardiovascular performance. During the Yoga session, Ms. Namrata Bhouraskar was selected as the best Yoga performer. 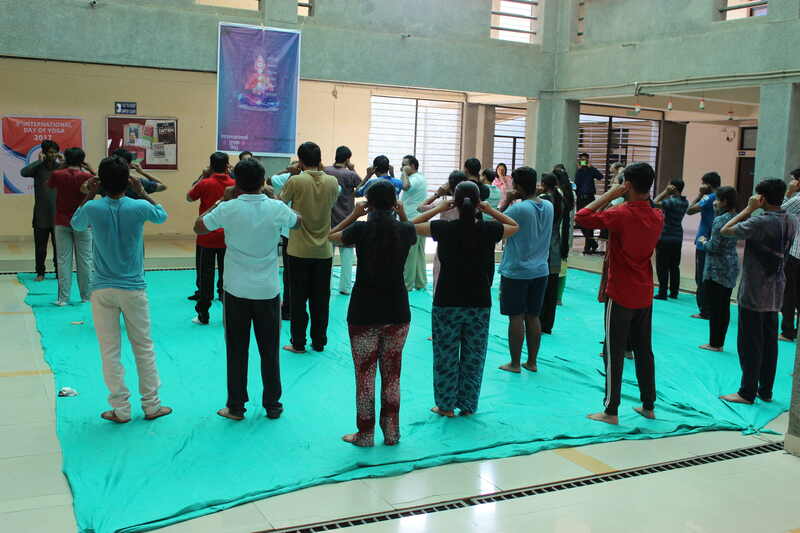 The Sports and Cultural committee organized an event for students, wherein, the students had to submit posters/ banners/ slogans on Yoga before 18th June. The committee selected the poster of Mr. K Naveen Kumar (Roll no. 201451074). The selected poster was displayed on 21st June during the yoga session in our institute premises. Refreshments were served to the participants at the end of the session. Videos on the importance and benefits of yoga were played in order to create awareness among one and all.